The past week at Carlton Bolling College saw our students host a much lauded exhibition; the tragic story of Jewish teenager Anne Frank. 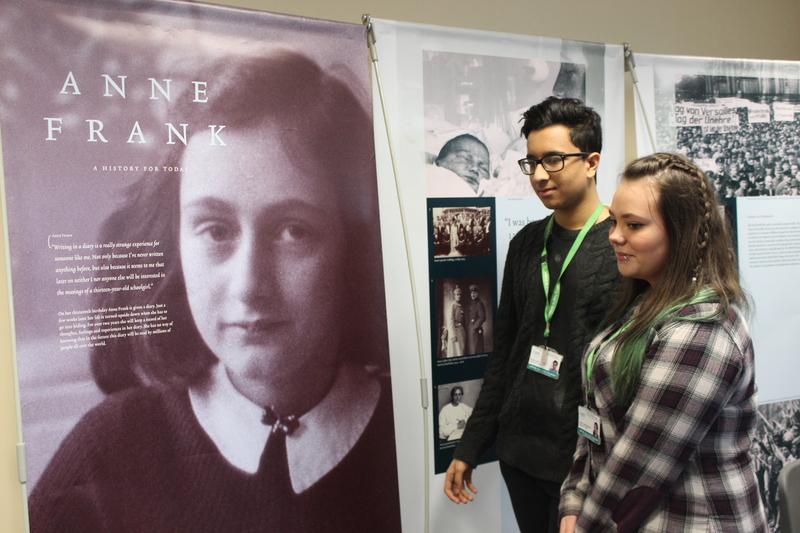 Organised by the Anne Frank Trust, part of the school was transformed into a temporary museum detailing the life of the influential Holocaust victim. 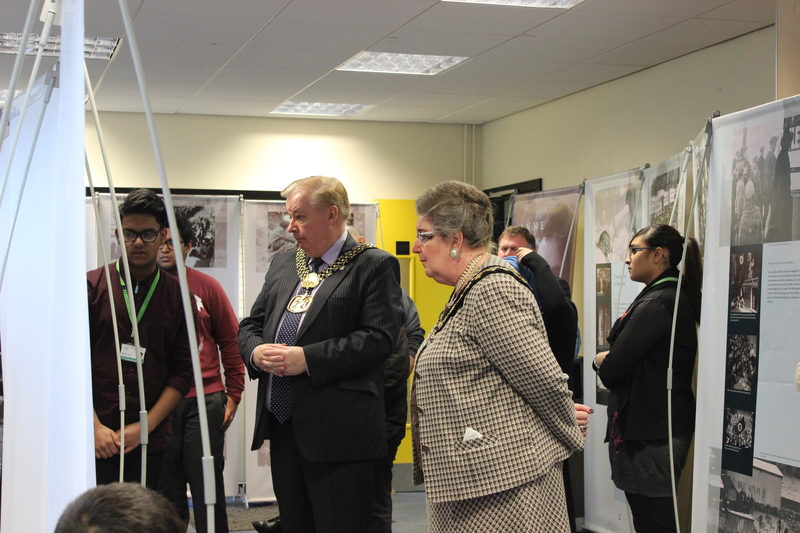 A group of incredibly dedicated students had worked for a number of months, in partnership with the organisation, in order to prepare this moving gallery with a number of students acting as “student ambassadors” to the visiting public – amongst which was the Lord Mayor of Bradford, Councillor Mike Gibbons and Bradford East MP David Ward. Perhaps the most rewarding element will prove to be the tour given to the unassuming primary school children who visited during the week. A tragedy of this proportion, and the experiences of Anne Frank and many others across Europe will, despite the passing of time, always prove to be relevant. The student tour guides had been superbly trained by the Trust and did respectful justice to the significance of such travesties. Given the correct leadership of our students one hopes that this powerful and moving history will resonate with the guest young people. The past must not be forgotten and it this event, and those akin to it, which are the only insurance of, firstly due respect being paid, and secondly of preventing the mistakes of the past. Posted on January 19, 2015, in Uncategorized. Bookmark the permalink. 3 Comments. It was a fantastic event the students and visitors really enjoyed the speeches and learnt something new about Anne Frank. Thank you to everyone who took part and helped to make it another CBC success story.